The following is a grading guide for the Medio Centésimo coin of 1907. It is based on the Sheldon grading scale of 1-70 which is widely used in the United States and elsewhere including Panama. Grading is an art, and is subjective in nature. Different collectors and dealers will have legitimately different opinions about the same medal. However, there are generally recognized standards used as a basis for grading coins, medals and tokens. Standards have been published for grading Panama coins by the Isthmian Numismatic Society (now defunct) and the Asociación Numismática De Panamá (in Spanish). The guide below is my application of the Sheldon grading scale to the Medio Centésimo coin of 1907, taking into account the standards previously published. Very heavily worn with portions of the lettering, date and legends worn smooth. The rim is worn, and the design is very flat. Severe and numerous marks are allowed. 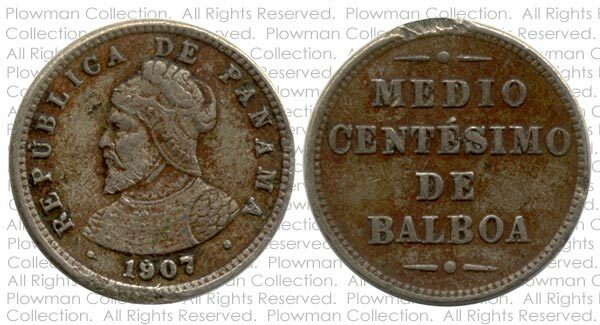 However, you must be able to identify that this is a Panama medio centésimo coin. Since the medio centésimo is fairly common, this low grade has no numismatic value. Heavily worn. Major designs visible but flat and may be faint in areas. The peripheral lettering should be mostly full, and most legends should be visible. The rim or edge should be mostly intact, but worn edges are allowed. Numerous marks are allowed but should not be so severe that a major design feature is unrecognizable. 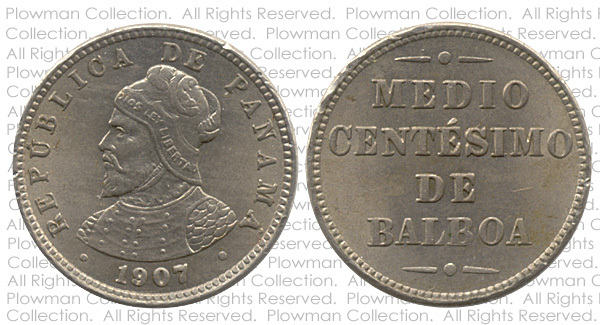 Since the medio centésimo is fairly common, this low grade has no numismatic value. It might be argued that the above example is not "heavily worn". However it has six letters which are partially or totally missing in the "DIOS LEY LIBERTAD" legend. Magnification exaggerates flaws, but this coin does have two significant rim dings, one on each side, and numerous marks. So I would grade this coin as a Good (G-4). Well worn. Bold major designs but absence of fine details. Edges and rims should be intact. The peripheral lettering should be full. Not more than three letters in the "DIOS LEY LIBERTAD" legend (on the obverse) are illegible. 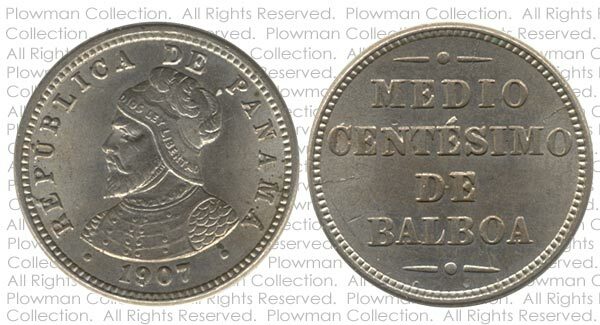 Noticeable wear appears on the "MEDIO CENTÉSIMO DE BALBOA" legend on the reverse. Some marks are allowed but should not be too severe. This is the lowest grade of medio centésimo which has some numismatic value. Moderate but even wear. Bold entire design but with some weaknesses. Deep recessed areas should retain their detail. About 50% of all the fine detail should be present. The "DIOS LEY LIBERTAD" legend is legible although "LEY" is faint. Some marks are allowed but should not be very deep, long, or distracting. Many medio centésimo coins are in this state. They have numismatic value, and are generally the minimum grade that collectors prefer to have in their collection. Generally light wear, moderate wear at high points. All major features must be present and clear. About 75% of all the fine detail should be present. The "DIOS LEY LIBERTAD" legend is legible although "LEY" shows wear. Overall it should be an attractive coin. 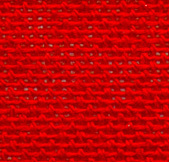 Light wear on the highest points. Most of the devices on the coin are sharp, clearly defined. About 90% of all the fine detail should be present. Only one letter in the "DIOS LEY LIBERTAD" legend shows wear. Traces of luster may show. Overall it should be an attractive coin. Traces of wear or friction on the highest points. At least 50% of the original mint luster should be present. The details and lettering on the coin are very sharp and clearly defined. There is very slight wear on the legend "DIOS LEY LIBERTAD". Overall it should be a very attractive coin. A novice may describe it as "shiny" and "new", and be unable to distinguish it from an uncirculated coin. This coin is virtually indistinguishable from an uncirculated specimen. There is a trace of wear on "LEY" (especially on the top of the "L") and on the middle feather on Balboa's hat. The coin has very few marks or blemishes on either side, except for the rims which appear to have suffered rather badly. This is an 8X magnified view, so the rim dings look much worse in this image than they appear at actual size; they are not bad enough to consider the coin damaged. Overall this is an attractive coin I would grade as Choice About Uncirculated (AU-55). No trace of wear whatsoever. Original mint luster fully present, but can be poor and unattractive. Numerous marks are allowed, but not so many that the coins could be considered damaged. Overall this coin is not attractive and has negative eye appeal. No trace of wear whatsoever. A nice uncirculated coin with positive eye appeal. There may be numerous marks or hairlines, including several major marks in the main focal areas. If there are distracting marks or hairlines on the major devices, then the fields should be relatively clean. If there are distracting marks or hairlines in the fields, then the devices should have less disturbance. The strike will range from about average to full. The luster will range from about average to full. There can be noticeable spotting, including several large spots or a group of small ones. Overall this is an attractive coin with some minor distractions. This coin shows no signs of circulation, no trace of wear on either side. It has attractive luster, and overall has a pleasing appearance. The obverse is the more attractive side, with just some small groups of spots near the rim to detract from its overall appeal. The reverse has two major hairlines and two other significant marks, all in the field. So I would grade this coin as a Choice Uncirculated (MS-63).